Aikido is a Japanese martial art based on the principle of Ki, that is, the harmony or balance of energy. Seeking to control an attacker by first blending with the incoming attack then redirecting its energy. Taking the attackers balance both physically and mentally and then controlling the movement is important in Aikido. The development of the use of Ki rather than strength is also important. Many of the movements in Aikido are based on movements with sword and other weapons. Aikido translates from the Japanese as "The Way of Harmony and Spirit". It is a practical way of harmony with nature following a path of non-contention and reconciliation. However, although it is defensive by nature, make no mistake, it is very effective – that is why it is used by many police and armed forces around the world. 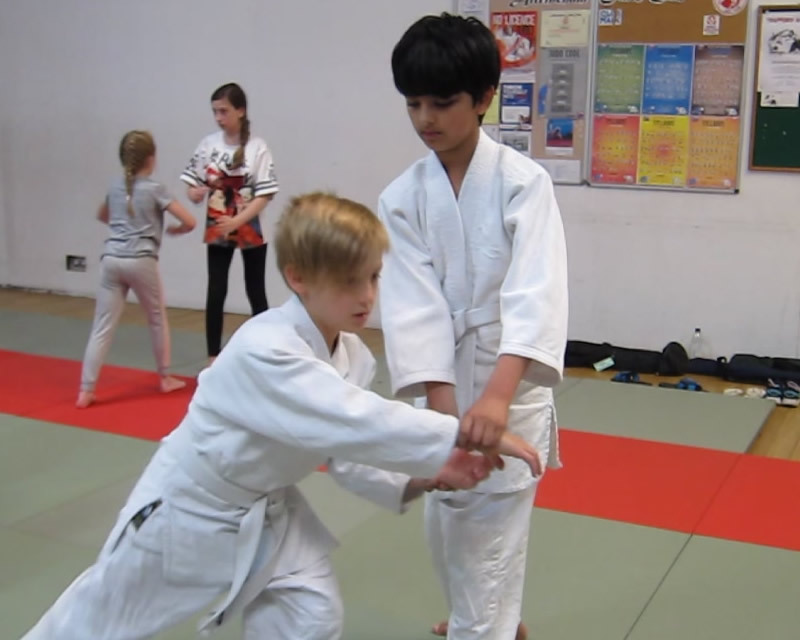 Aikido is suitable for both male and female of all ages and physical ability. It benefits fitness, posture and mental awareness. It will certainly help build self-confidence. And along the way you'll also have fun and make friends ! Aikido - is a Japanese system of weaponless self-defence developed from the mid 1920's, by Morihei Ueshiba (1883-1969) as a basis for both physical and spiritual development. Aikido is an art that does not seek to meet violence with violence and yet retains its martial origins. The main form of Aikido techniques are joint immobilisation (or joint mobilisation) and throws both utilising an opponent's momentum. Practices with Ken (sword) and Jo (stick) serve to assist understanding of techniques and their development. Some of the techniques used have their budo origins traced back to the 12th century. Aikido is essentially non-aggressive and non-violent. It is based on spherical movements by which an attacker's aggressive force is not met with force, but is instead deflected or turned back on itself. It includes both throws and joint locks, which, although effective and painful, are applied so as not to cause injury. Aikido is a method of practical self-defence, through which the practitioner acquires quicker reactions and effective movements through its practice. Attacks can be met with a number of differing responses. Aikido does not require great physical strength or aggressive spirit, it is practised by people of all ages and physical constitution, and by women as well as men. Based on full and natural body movement, Aikido exercises every portion of the body. Flexibility, co-ordination, balance and quick reactions are all developed through the study of Aikido. In common with other Oriental philosophies and disciplines Aikido teaches that there is no real separation between body and mind. In subjecting our bodies to the precise physical discipline of Aikido we may steadily influence our minds to the good: creating an inner calm and balance. Aikido, has since its conception, been non-competitive, however, several styles have now evolved from the parent of "Traditional" Aikido. 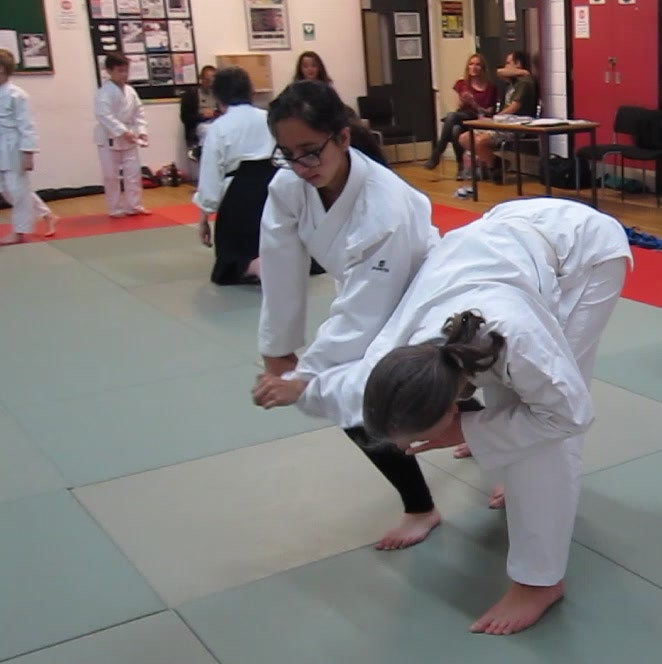 It is the Traditional Form that we study in Trafford Aikido. Learn Self Defence - Learn to blend with forces and not to be there when an attack arrives. "Ultimately, you must forget about technique. The further you progress, the fewer teachings there are. The Great Path is really No Path"